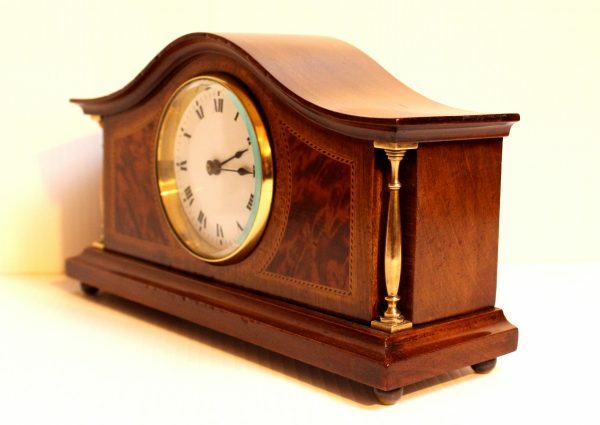 French mantel timepiece in a mahogany case inlaid with burlwood. 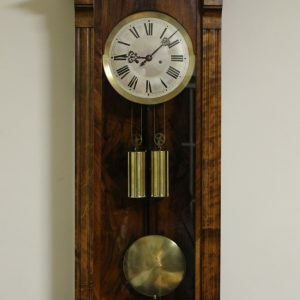 Platform escapement so no concerns over keeping it in beat. 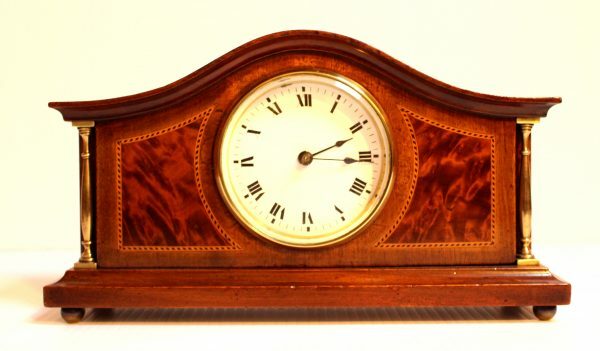 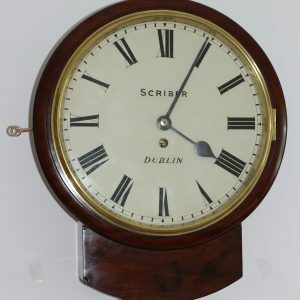 French mantel timepiece, it has a mahogany case with bun feet and burlwood inlay . 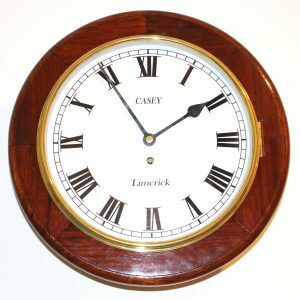 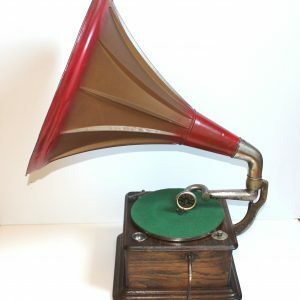 The case has a brass column on each side with brass bezel, enamel dial (face) and spade hands. 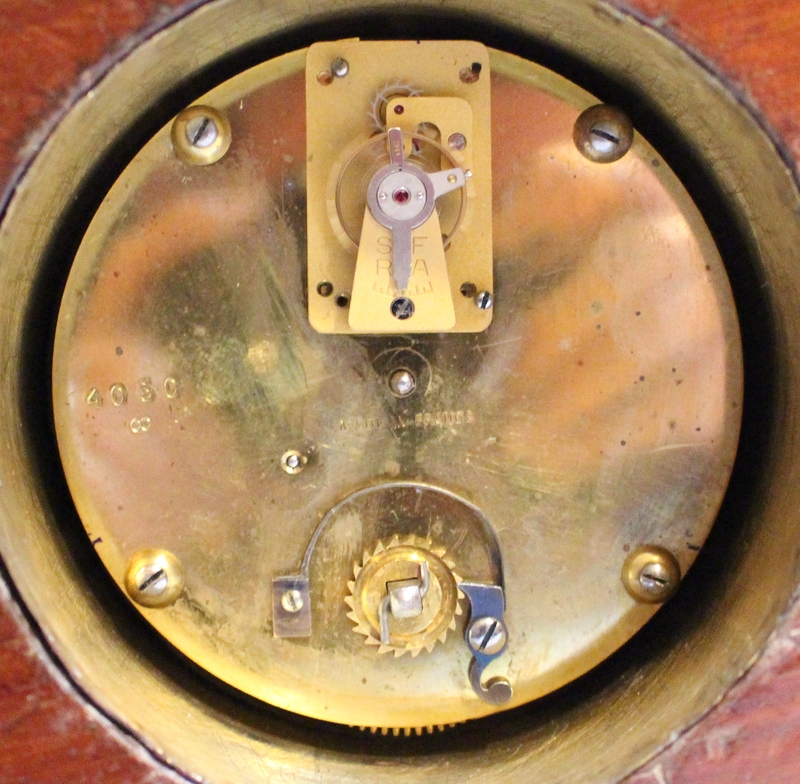 The movement (mechanism) is of typical French quality for the period, fitted with a new Swiss platform escapement.